Discussion in 'Recording/Live Sound' started by Badtone, Apr 12, 2019. Congrats, welcome to the Audient club! I'm up to eight 48 point bays now, all solder points in the back. The first six DB25 snakes were slow to assemble but the last three went quick... build some slack into those cables, I went through multiple configurations over the years and ended up with a completely different lay-out than the original design. jmoose and Badtone like this. It looks like a JBL 4311 in the corner, but upside-down with the control panel flipped. Is that the case, or is it some other JBL? Congrats! It looks beautiful. Nothing like satisfying your dream. I retired last October. I went through the same thing, and sold an original Firebird V (still have an early III) to buy the console in the pic. You'll never regret your purchase! Live that dream man, live that dream. jmoose, Terry McInturff, Lef T and 1 other person like this. 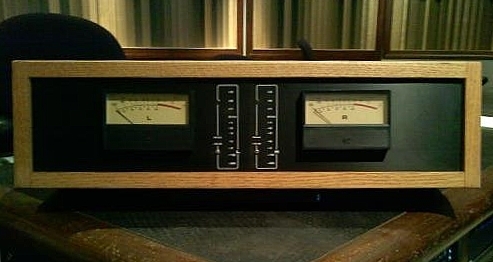 A large %-age of the raw tracks on the upcoming record by The Who was tracked on Pete's Audient console. As a pioneer of home recording he's owned many of the classic greats, can afford anything, and he chose Audient. Peter Townshend knows recording desks! The designer, Dave Dearden has a good history in console design. Prior to Audient, his company was DDA. Their large format desk, the DMR12 was found in many studios and is the only DDA Ive ever driven. Big 'ol split console. Another DDA model, the QMR, is closer to the new Audient designs and I occasionally look around for one. Looks great man! I made a record on a Tascam 85-16b (1" 16 track), I think a pretty similar machine. It was fun! Guitars sounded great on it. Very cool! Is that a Neotek? You got the better end of that deal!!!! Time will tell if it's a better deal or not. Hopefully older consoles will make a comeback and values will hold. It's a good time to buy an old board if you have the space for one. That old Firebird was pretty cool though, and I still wonder if I did the right thing. I'll never find another one for the 5k I paid for it. Terry McInturff, jmoose and Badtone like this. There are still a lot of people who drive large format consoles on a daily basis... as for the future its exactly like the past. Can easily draw an analogy to muscle cars & the like. Some brands and specific models within those brands will always hold value unless they get rotted out from non-use & neglect. Some were never all that desirable in the first place and are better off in the scrapper anyway. Things like your Neotek should retain value or at least be easy to move along if/when the time comes. For one Neotek is still in business so you can get support and parts. That's really what drives it, when the parts disappear & nobody knows how to work on it... game over. Hopefully you, or anyone else who owns a desk has schematics and a full spare channel or two. But the market is there, absolutely! Companies are building new desks everyday. Lots of new designs & things geared for modern workflow & spaces... obviously Audient here yeah? SSL has their XL desk... API just introduced a 24 channel Box a few months ago & is still building 1608's... Trident is back with their new Series 78 & 88 desks, upmarket stuff like the RND 5088 as well. If you have a spare $20-100k to spend there's more then a few options with that new console smell. I completely understand your second-guessing re: the Firebird. While I'd like to make you feel wholesome about your purchase, I'm not sure that I can...but I will try. My comments are of course to be read in the light that, if I wanted to make a Firebird I could. But I could not make that Neotek Elite. I have worked on many many 'birds from the 60's. I have to say too, that I have played some that had "magic"...reverse and non-reverse. Back in 1982 or so I traded a newish LP Deluxe (I paid $550 for) even-steven for an all-original 1964 Firebird V....8/10 condition, and original factory black finish. I tried to like the guitar, but it was a lousy guitar. The neck was carved way under blueprint; the nut width is supposed to be 1 11/16 but this thing was around 1 1/2. Whippy neck, lousy tuners, squeeling pickups. Looked awesome! Horrible guitar. Now I know that folks place a high value on vintage pieces like that, but I tend to view them regarding utility. Your Neotek Elite is a fine mixing console. It is, in my view, every bit the expressive musical instrument that a guitar is, in it's unique way. It is of course a very different mode of musical expression, but every bit as valid. What could be done, musically, with the Elite...given the right source material...could change the darn world. I am sure that your FBV was a good guitar. But there are a few folks who could build that here in 2019...more than who could craft that Elite, to say the least. I would have traded my pristine '64 Firebird V for a minty Neotek Elite in a New York second. Thanks guys, I feel better now! Actually, I sold off several other Firebirds in the past to buy good recording gear. They were cool, but difficult to play and get a handle on because of the ergonomics. I had a couple other FB III's besides the one I still have, and I had a couple Medallion Firebirds that I let go too. Not to mention a whole slew of other vintage guitars I had over the years. I used to keep a scrapbook with pictures of all of them, then threw out all the pics when I realized it just depressed me when I looked at it! As I get older, it gets easier to deal with. Kinda like those hot girlfreinds from the past - the ones you still think about once in a while! Seeing that Audient puts a smile on my face. I'm a product of the digital age and have zero interest in investing in analog anything after my preamps, but I can't help but smile when I hear stories like this. While I'm perfectly happy with my workflow, I love going to a studio that is mostly analog and learning about the processes and the sounds. The limitations spark creative solutions a lot of the time, unlike the option paralysis we can sometimes suffer from in the digital realm. I'm glad some guys are still keeping that stuff alive and well. Have fun with it. I have a gear stiffy. That is awesome. Congratulations on the new console!!! 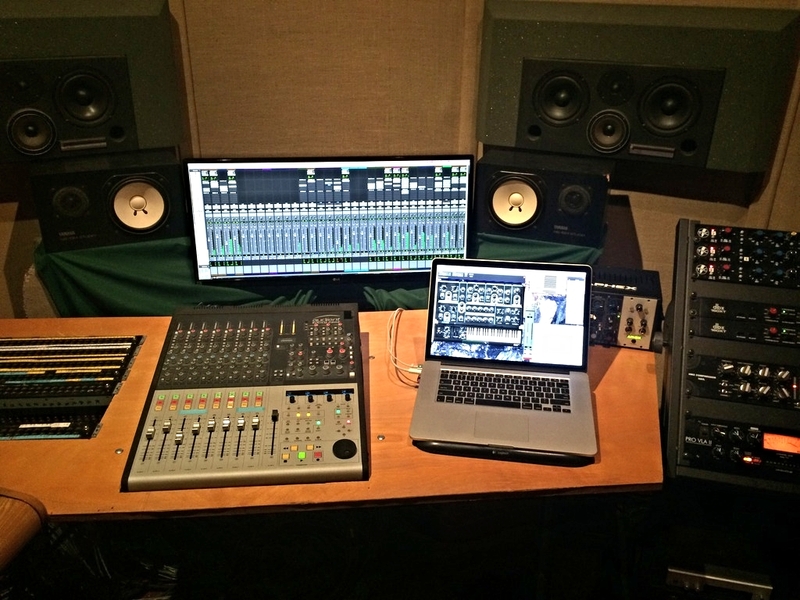 I always wanted a home studio but I made recording engineering my career. You know what they say about the shoemaker's kids: "they have no shoes." The meaning there is that no-one wants to take work home. On the other subject, the Neotek consoles, we had a pair of those in a couple of our rooms. After about ten years of solid service we sold them to another house who didn't want the custom bits we had Neotek add to them. One of them had a turret with stereo bus VU meters as well as the bespoke PPMs that Neotek was furnishing at the time. Ten years later that was still floating around the engineering shop. Having spent hours mixing on the Neoteks, I caught it as it was headed to the crusher and kept it as a souvenir. Note the nice oak enclosure! Badtone and Crowder like this.